Just like in a human, if a dog’s eyes start to become cloudy, there’s a high likelihood that they’re developing cataracts. While this is a normal part of the aging process, it needs to be addressed by a veterinary ophthalmologist. Why? Because cataracts could cause damage to the eye lens, potentially leading to a partial loss of sight, or blindness. 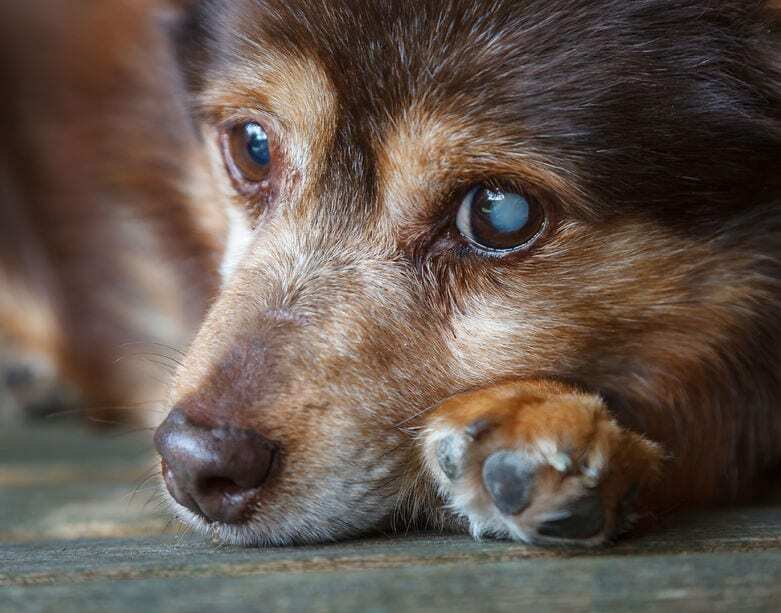 Here’s some information on what canine cataracts are, how to tell if you need to bring in your pup for dog cataract surgery, and what to expect if you do. Briefly, a cataract occurs when the lens part of the eye starts to cloud over. The lens is the part of the eye that focuses light on the retina, located in the back of the eye. To be able to see, a dog’s lens has to be clear, so that the retina receives a sharp image. If the lens is cloudy, that image will be blurry. A dog’s eye primarily consists of water and proteins. As your dog ages, those proteins become rearranged, leading to cloudiness of the lens. 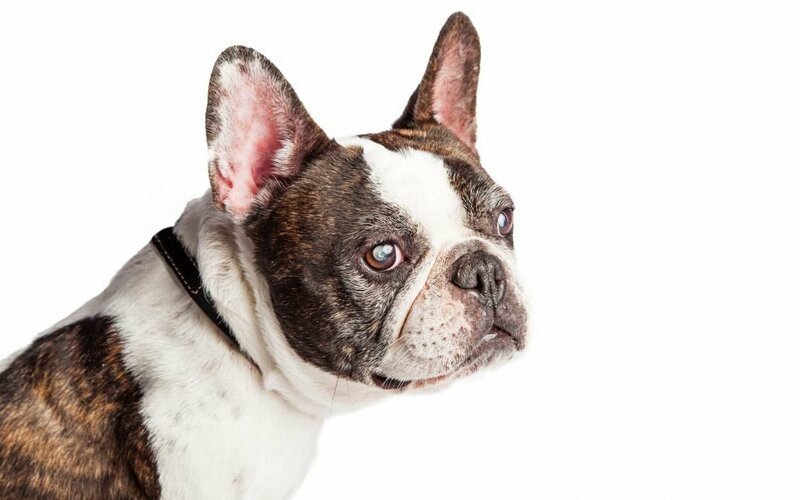 Any dog can develop cataracts, but there are a few breeds that tend to be more susceptible. These include Golden and Labrador Retrievers, Yorkshire Terriers, Old English Sheepdogs, Cocker Spaniels, Poodles, Schnauzers, and Siberian Huskies. Get to your vet as soon as possible if you notice these symptoms, so they can pinpoint the cause of the problem. It’s important to note that if your dog is in the early stages of cataract development, eye drops or ointments could help delay surgery. Unfortunately, a procedure will ultimately be needed. Nobody wants to have to take their dog in for surgery of any kind, of course, especially eye surgery. But if the other option is total blindness, well, the decision will be fairly easy, no matter how hard it might be for you to accept. Your dog’s quality of life is at stake. When you go to the veterinary ophthalmologist to have your dog checked out, they will first perform a variety of tests and screenings. These tests will help determine if cataracts are present – and, if so, how extensive the problem may be. If your dog is on arthritis medication or cortisone, you will need to stop giving those drugs at least 10 days before the surgery takes place. In addition, you’ll have to make sure you have eye drops handy to keep any sort of eye inflammation to a minimum. How Does Dog Cataract Surgery Work? There can be some slight differences regarding how one veterinary ophthalmologist will handle a cataract surgery procedure versus another. However, the general process is typically the same. Your dog will probably have to be in the hospital for a few days. 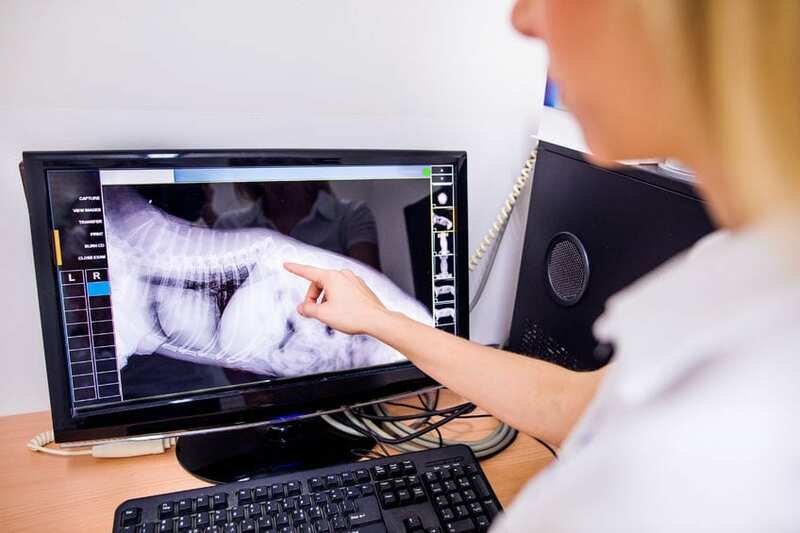 There are some instances where the surgery can be performed on an outpatient basis, allowing your pup to come home the same day. It will be important that you are very careful when you get your dog back home. You’ll probably need to give your pooch eye drops, pills, or ointments several times a day for up to six weeks. 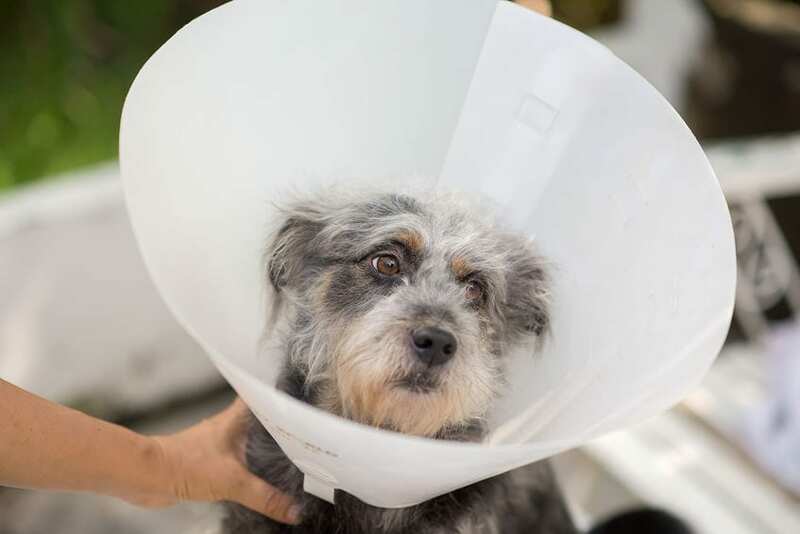 Your pet will probably need to wear a cone for at least a couple of weeks, so they don’t paw at the eyes and cause damage. The better care you take of your dog post-surgery, the better the chances of success will be. Make sure to visit the veterinary ophthalmologist regularly after the surgery, so they can make sure your pooch is progressing on schedule. The cost of a procedure involving the implantation of an artificial lens can be high (as much as $3,500).7 So, if you have a dog who’s getting up in years, you might want to either consider pet insurance, or setting up a savings account specifically for veterinary bills. Some vets offer a payment option known as CareCredit, which is a line of credit that works much like a card, with monthly payments. By putting a plan together now, you can take steps to make sure your beloved pup will be able to see clearly for many years to come.